With the addition of several $1+ million dollar communities going up downtown, the rise of ultra-luxe properties in our area has taken hold. As a beautiful beach town with destination appeal, luxury properties have lined our coast for many years, but homes and condos for the 21st century’s super-rich are more common than before. Located on every key as well as downtown, here is a collection of Ultra-Luxe properties on the market now. Located at soon-to-be Quay Commons, a 14-acre waterfront district currently being developed just north of the Ringling Bridge, the brand new Ritz Carlton Residences are luxury at its finest. Currently in development with a scheduled completion of end of 2020, this prime piece of bayfront property is being designed for nothing less than the most discerning buyer and is currently taking reservations. On the market now is one of three remaining penthouses. 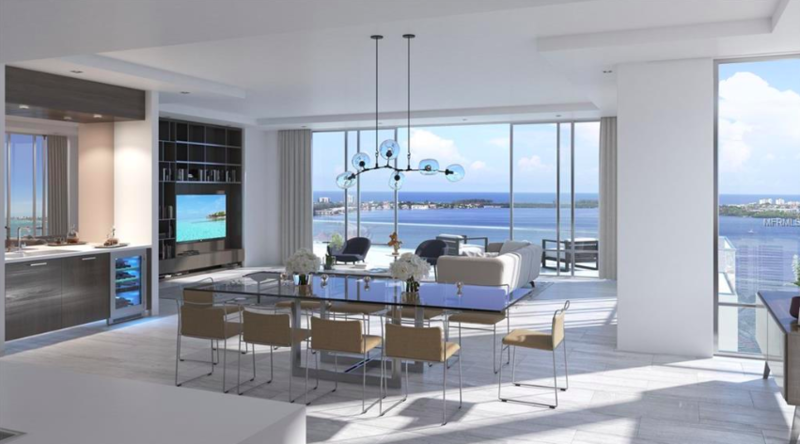 Over 6,000 square feet with an expansive 1,500 square-foot terrace, this four-bedroom, split floorplan is defined by sophisticated style, luxurious finishes and stunning waterfront views from virtually every room. Also yet to be built is this stunning property, on the market now right on the sands of Lido Beach. 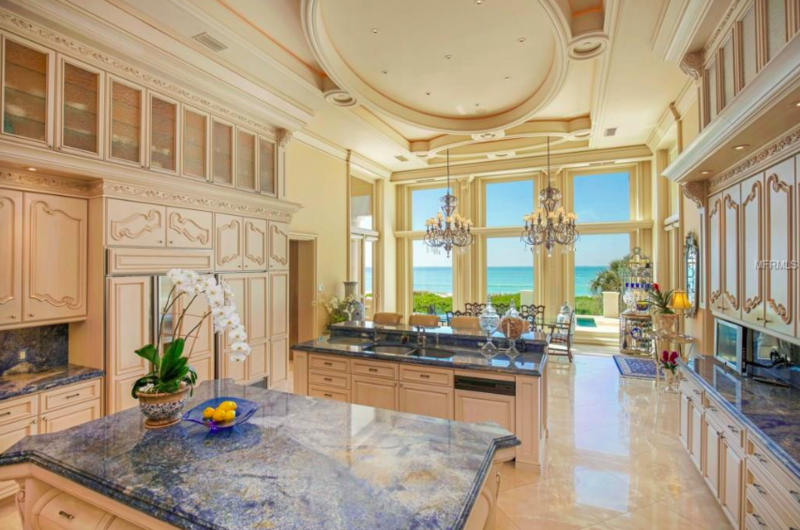 Designed by architect Derek Pirozzi, with builder Nutter Custom Construction, this luxury home is inspired by the Sarasota School of Architecture and designed to be a yachtman’s dream. 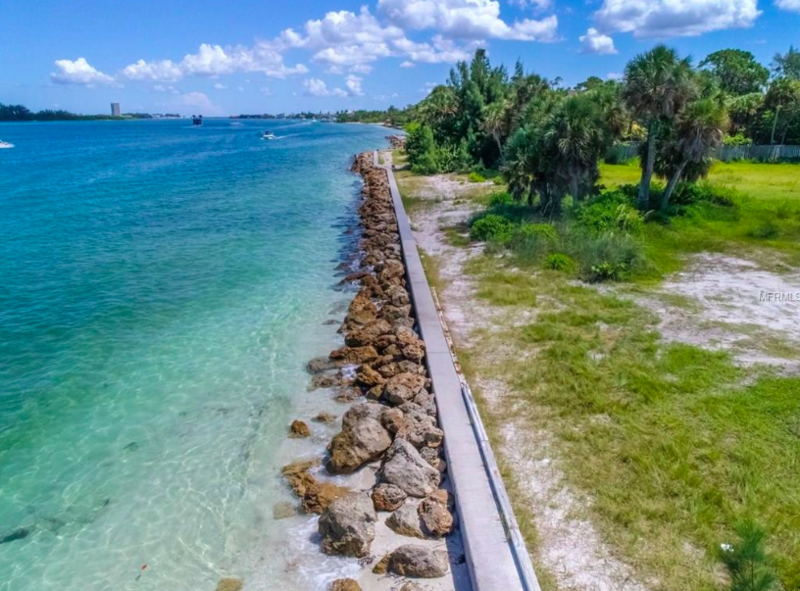 The indoor-outdoor living experience will feature panoramic open water views with over 450 ft of frontage and is located on the southernmost part of the key, a quiet and private area. Located on the small & exclusive island of Casey Key, this magnificent waterfront estate features over 200 ft of waterfront and over 10,000 sq ft of interior living space. This world-class designed residence by noted architect George Merlin lives both elegantly and casually, with formal living and dining rooms as well as a dream chef’s kitchen. All six bedrooms are en-suite so guests are as comfortable as their hosts. 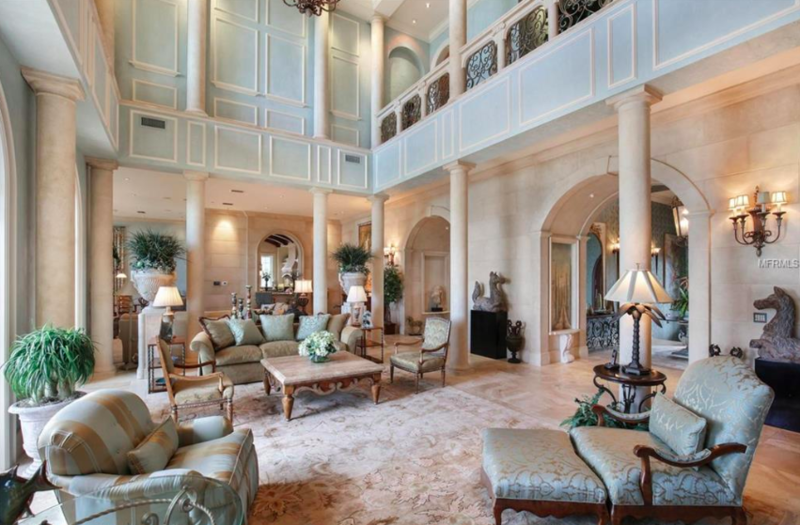 The mansion also features a home theater, exercise room, and an 8-car garage and sits on a large private section of beach. 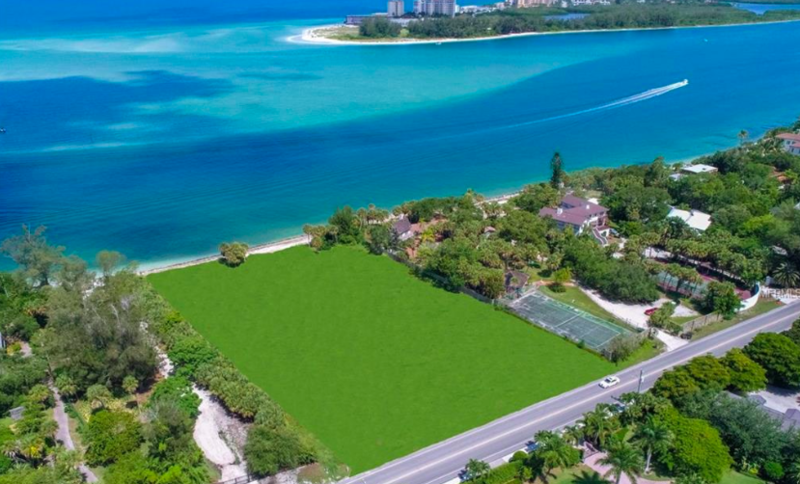 This is multi-parcel lot is a sprawling 2 acres of prime Siesta Key waterfront on the Gulf. The proposed home is one out of a dream… breathtaking, panoramic views of azure waters and blazing sunsets with 240 feet on the Gulf of Mexico, a massive interior with 5 beds and 6 baths, plus a host of amenities one would expect for full enjoyment of a luxury tropical, island lifestyle. Frontage on Big Pass means that boating, fishing, kayaking, and swimming will become daily activities and cherished past-times. The on-site tennis court will make for fun mornings and the beachfront pool and water feature will make for relaxing afternoons. 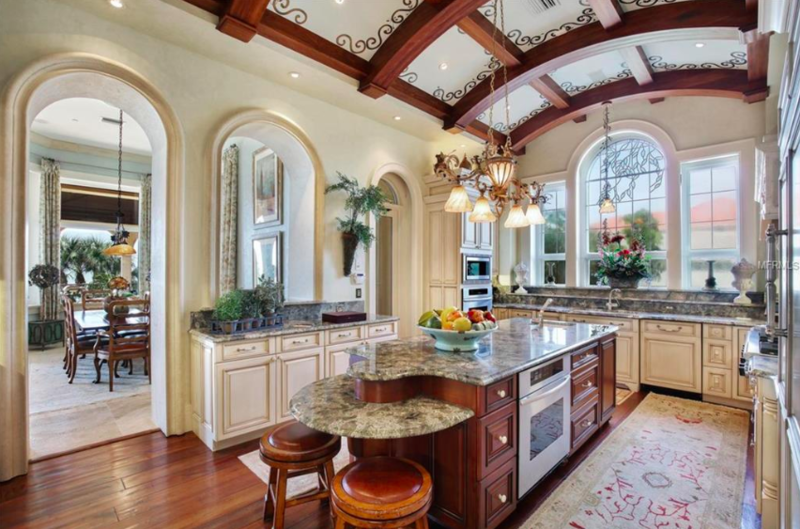 This immaculate three-story estate on Longboat Key was built in 2005 with architecture reminiscent of Renaissance Venice. Nearly 20,000 square feet of living space includes multiple kitchens, 6 bedrooms, a dining room with Italian-inspired painted ceiling, a theater room, and a closet larger than many New Yorkers’ apartments. Outside, a waterfront infinity pool draws your eyes right from the manicured grounds to the serene waves of the Gulf, visible from 15,000 square feet of room for outdoor entertaining. The finest of detailing throughout the home includes marvelous murals, extraordinary millwork, and sparkling chandeliers. This home is easily able to host grand events for more than 100 guests and it’s hard not to picture ballgowns swirling around in circles on the marble floors. Luxury at its peak.